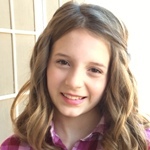 Madisen Garcia, Contributing Writer, is a seventh-grader who enjoys writing, painting, and reading. When she was in fourth grade, she was inducted into the National Junior Honor Society. She is also a frequent volunteer for a local nurse practitioner, where she helps assemble birth kits, makes baby hats, and makes essential oil blends. She has also been involved in raising money for various charitable organizations such as St. Jude’s Children’s Hospital and Ignite Hope for Phoenix Children’s Hospital. She is an animal lover and has an adorable maltipoo named Milly. Madisen is excited to write for Amazing Kids! Magazine.